It is a point of shame that I have posted so little about my trip to Japan in March/April. I am in a dilemma as to whether I should write about my more recent trip to the Arabian Gulf first, as it is fresher in my memories. The Japanese cherry blossom photos and the Qatar desert photos both seem incongruous to me when life here and now is all about fur-hooded parkas, shoveling snow and surviving tomorrow's -23˚C forecast. This is my favourite photo of the ones I took in 2013. I took it on a sidestreet of Higashiyama, Kyoto on April 5th. 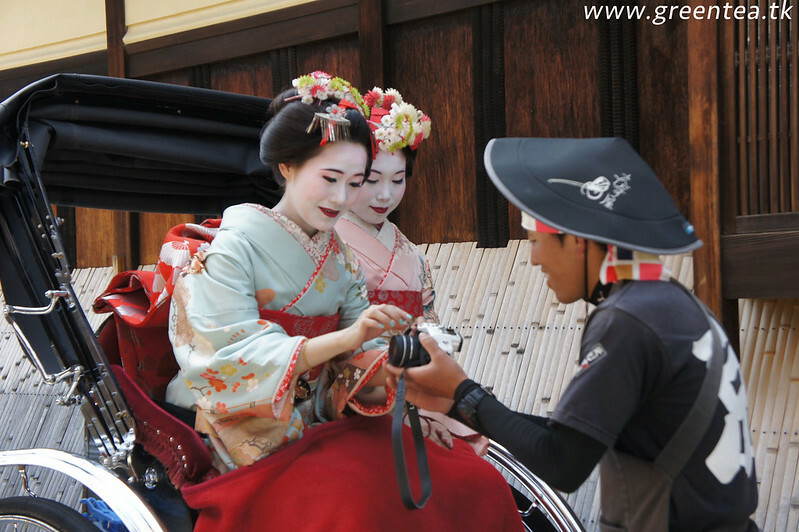 These ladies are not geisha. 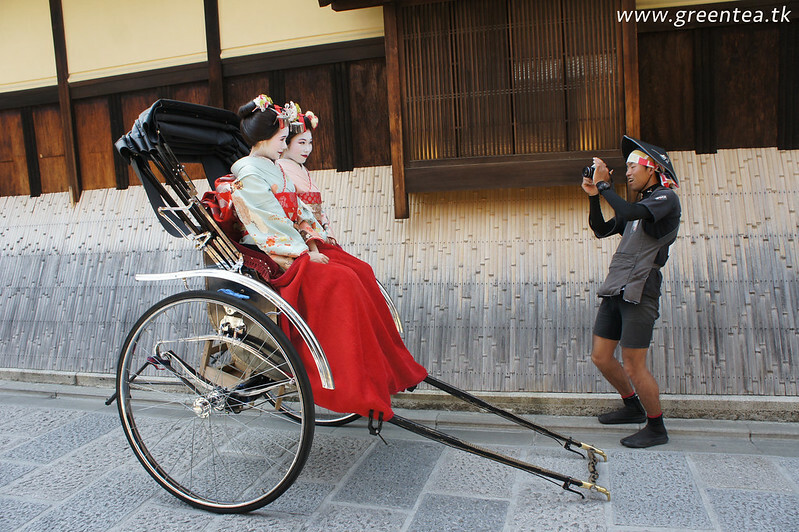 They are domestic tourists who went to a geisha costume service and then hired a rickshaw to go sightseeing around the traditional geisha area. It is common to see in western Kyoto. Fake geisha though they are, this pair posed demurely and stayed in character. Only the digicam held by the rickshaw driver reveals the true context. I like this photo because Kyoto is my favourite city and I love that is totally acceptable for us tourists to lose ourselves in the culture and tradition of the place. I think the photo represents that. And a moment later, before the driver had the ladies on the move again.